Special obstetrical dolls have been used to teach midwives about the mysteries of childbirth since at least the 18th century. The most famous of these mannequins, also known as a ‘phantom’ is perhaps la machine of Madame du Coudray, the renowned midwife to King Louis XV of France. The Musée Flaubert in Rouen, France has one of these her machines in its collection. That artefact includes a large and small foetus, placenta, and even twins. Madame du Coudray’s accompanying textbook, Abrégé de l’art des accouchements [Summary of the art of childbirth] (1769) featured colour plates of delivery technique. 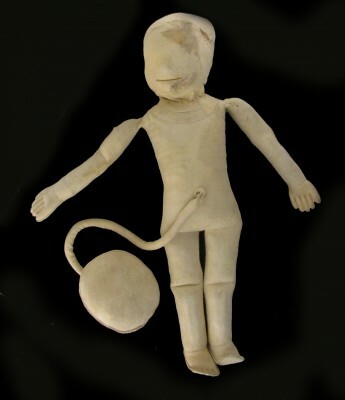 The chamois-covered foetal mannequin with placenta in the Museum of Health Care’s collection was used in the 20th century at the Kingston General Hospital to demonstrate childbirth and delivery to medical and nursing students until the 1960s. 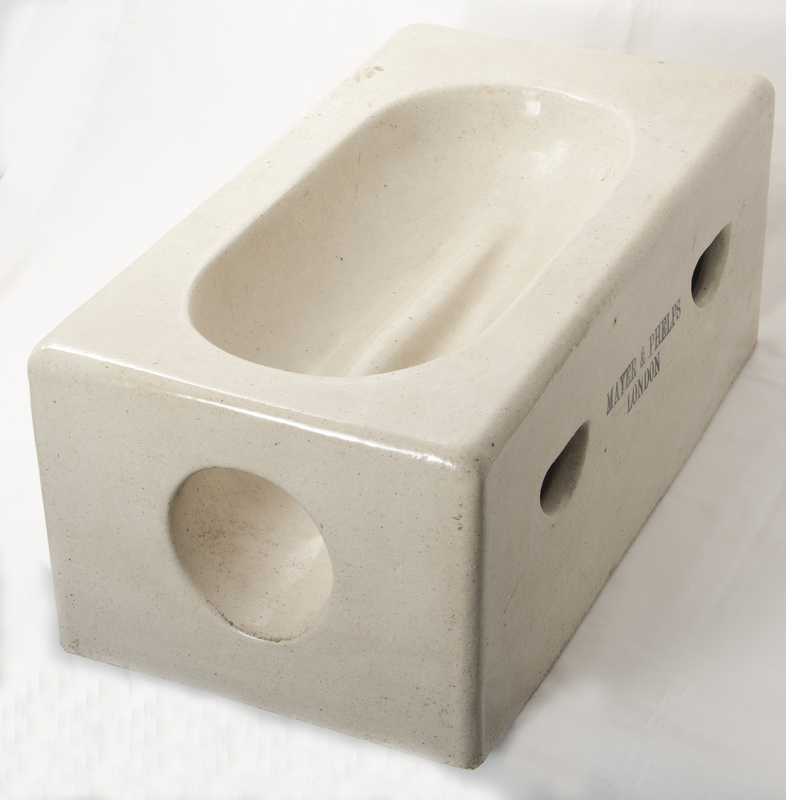 It was likely used with an obstetrical phantom (pictured), also known as an obstetrical birthing teaching model, which is a ceramic box-shaped womb model by Mayer & Phelps and is also found in the Museum’s collections. Foetal teaching dolls are still available today.